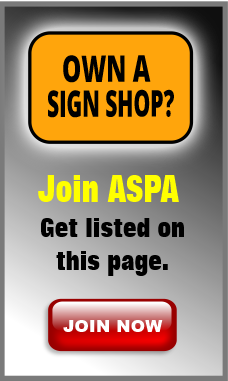 Looking for a sign shop? American Screen Printing Association has members throughout the United States that make custom signs and banners. Check out the companies listed below and find a sign maker near you.